Plan is committed to ensuring that all girls and boys are able to realize their full potential. We know that children will flourish if they are able to go school, stay there until they finish and learn the basic skills of literacy, mathematics, life skills and critical thinking in a supportive setting. We help them to do this by supporting education initiatives. We work in communities across the globe for the long term, getting to know their needs so we can better help them. This long term assistance also means we are ready to respond when a humanitarian crisis appears. Plan has three priority areas where we focus our attention and education resources. 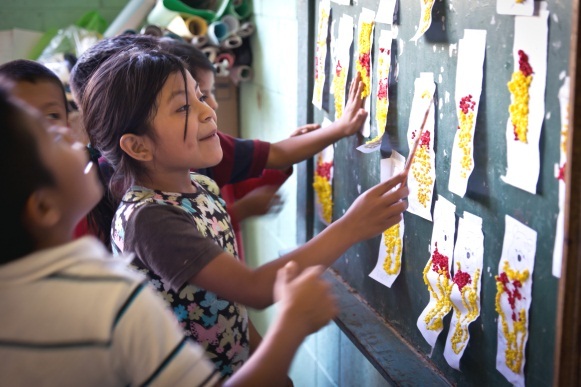 Over the past five years, Plan has invested over $180 million in primary education in more than 40 countries throughout Asia, Africa, Latin America and the Caribbean.